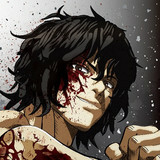 Japanese rock band MY FIRST STORY will perform the opening theme for Kengan Ashura, an upcoming TV anime based on the digital manga written by Sandrovich Yabako and illustrated by Daromeon about a young man who aims for the top in an underground fighting tournament sponsored by shady mega-corporations. Hit the jump to learn more. It's official! 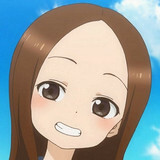 The "Teasing Master" is coming back for more playfully romantic antics, because the KARAKAI JOZU NO TAKAGI-SAN TV anime is returning to Japanese airwaves for a second season. Hit the jump to learn more. 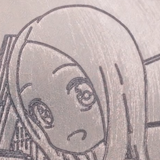 Manga author Soichiro Yamamoto (KARAKAI JOZU NO TAKAGI-SAN) caused a bit of a stir on Twitter recently with a cryptic Tweet that hints that a new project related to the Teasing Master Takagi-san manga may be in the works for 2019. Hit the jump to learn more. Shonen Sunday's official website Web Sunday confirmed on December 4 that a new serialized manga by internationally acclaimed artist Rumiko Takahashi (Urusei Yatsura, Ranma 1/2, Inuyasha) is set to launch in Weekly Shonen Sunday in the early spring of 2019. 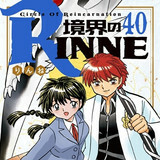 Her last work Kyoukai no Rinne/Rin-ne ended its eight-year serialization in the magazine in December 2017. Hit the jump for more. YouTube and Shogakukan have teamed up to fight off an unexpected form of manga piracy. 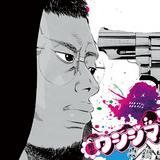 The strategy, recently used on the series Ushijima the Loan Shark, has required the companies to clarify their definitions of piracy even further. What's happening? Get the story after the jump. 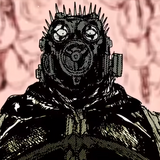 The final volume of Q Hayashida's beloved cult fantasy / adventure / science fiction manga Dorohedoro has been published in Japan, but the adventures of a lizard-headed fellow named Caiman and his friends are only just beginning, because Dorohedoro is going to be adapted into a TV anime. Hit the jump to learn more. 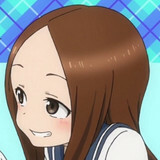 Kubota Corporation, a company that specializes in manufacturing agricultural equipment, has teamed up with Japanese publishers Shogakukan in a rice-appreciation promotion that stretches verbal punnery to its absolute limits and that includes a music video mash-up featuring scenes from 5 romantic comedy manga engraved on 137 grains of rice. Hit the jump to learn more. 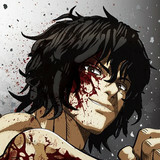 A new key visual and four more cast members have been revealed for Kengan Ashura, an upcoming TV anime adaptation based on the digital manga written by Sandrovich Yabako and illustrated by Daromeon about pit-fighters who compete in underground fighting matches at the behest of their mega-rich corporate sponsors. Hit the jump to learn more. 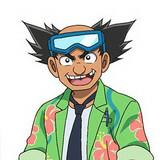 Four more cast members have been revealed for Bakutsuri Bar Hunter ("Burst-Fishing Bar Hunter"), an upcoming children's TV anime about a boy who discovers an entire digital ocean to explore on the other side of commercial barcodes. Hit the jump to learn more. 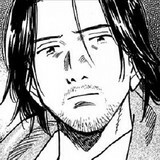 Critically acclaimed manga author Naoki Urasawa (Monster, Pluto, 20th Century Boys) is returning to the pages of Shogakukan's Big Comic Spirits weekly seinen manga magazine with a new series for the first time since the conclusion of 21st Century Boys in 2007. Hit the jump to learn more. 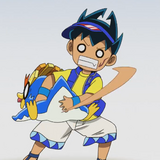 Children's anime is nothing if not creative and strange, and in October it only gets weirder with Toei Animation's adaptation of Bakutsuri Bar Hunter ("Burst-Fishing Bar Hunter"), an upcoming TV anime about a young boy with a fiery passion for fishing who discovers an entire ocean to challenge on the other side of commercial barcodes. Hit the jump to learn more. 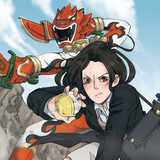 Tokusatsu Gagaga, a comedy seinen manga by Niwa Tanba about an office lady who tries to hide her obsession with special effects hero shows from her friends and co-workers, is being adapted into a seven episode live-action TV drama that will broadcast on NHK in January of 2019. Hit the jump to learn more.